I was working in my shop last August when my phone rang. It was Constantine Xanthopoulos from Vanson Leathers. He was calling to let me know that they were starting to put the line-up together for the 13th Annual Barber Vintage Festival in Birmingham, Alabama. Vanson Leathers would again be sponsoring “The Highside”, their vendor collective at the top of the paddock. We would again be stationed at the top of the pits, only three rows away from the world-class racetrack and right in the center of all the racers prepping for their next run. Constantine let me know that Moto Studio, Old Soul Young Blood, Black Grease Cycles, Gold Ghost Motorcycles, Speed Deluxe, Colorado Norton Works, Psycho Resin, MYG Handmade, and one of my personal favorites, Mr. Gene Payne, would join us. 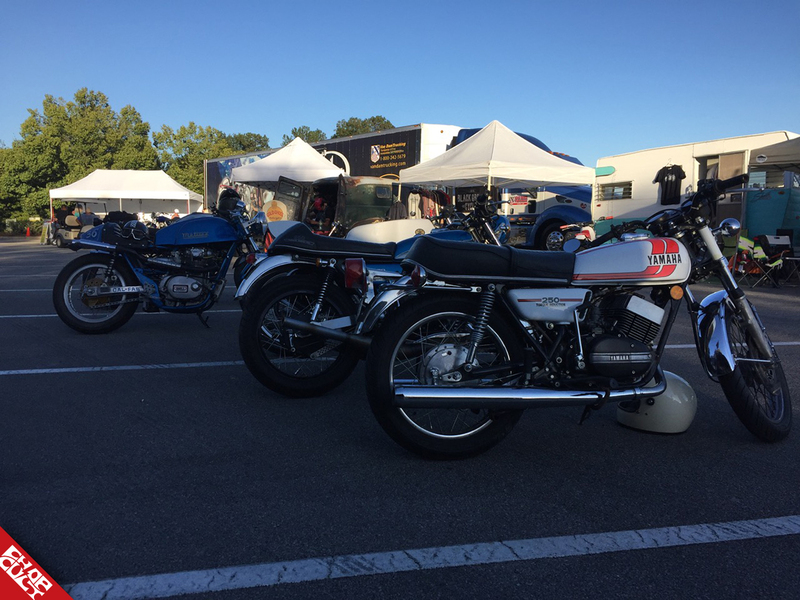 Barber Motorsports Park describes their Vintage Festival as “a motorcycle enthusiast’s dream”. 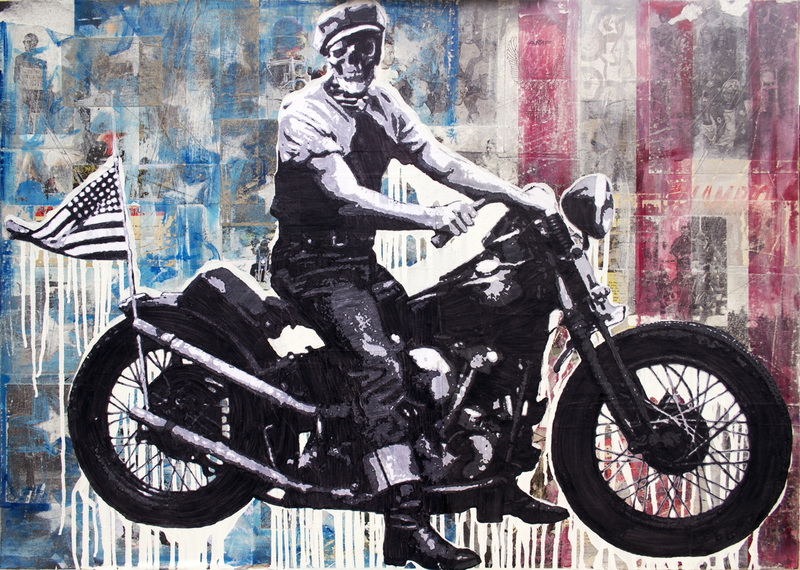 I call it “Motorcycle Valhalla”. A promised land for all things moto. 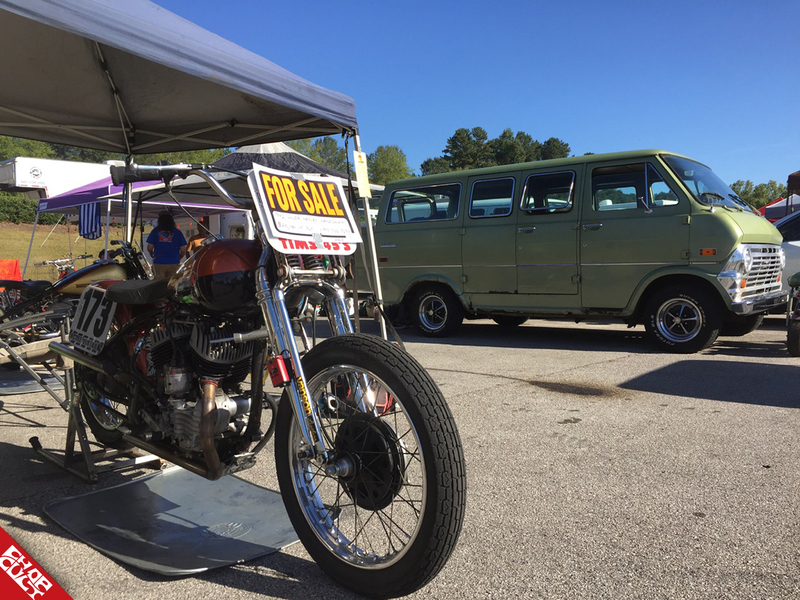 From the museum, to the swap meet, to the vintage motocross races through the woods, to the track and the pits, to the vendor areas and Ace Corner, there is never or shortage of things to do. It’s pretty much three days of self-induced sensory overload. With all of that amazingness, it’s still easy for me to pinpoint my favorite part of Barber; it’s the people. For every amazing motorcycle or part you find, I guarantee that you’ll get an even better story if you’re willing to listen. I’ve met some of my closest friends at Barber. There’s something about the atmosphere of the weekend that makes everyone feel a little more open. The Highside really becomes a kind of pop-up community. The worst part of Barber is also easy. The drive. Buffalo to Birmingham is roughly a 14-hour drive. Our first year at Barber we drove it in one shot; sure, it’s doable, just not enjoyable. We got to the gate 20 minutes after it closed. The teenager with a clipboard couldn’t quite grasp what we were there to do, so we spent the night on the side of the entry road sleeping in the bed of the truck. We were soon first in what would be a long line by morning. Everyone kicked in with a spare chair or blanket, so that nobody slept on the cold ground. Like I said, the people are pretty cool. 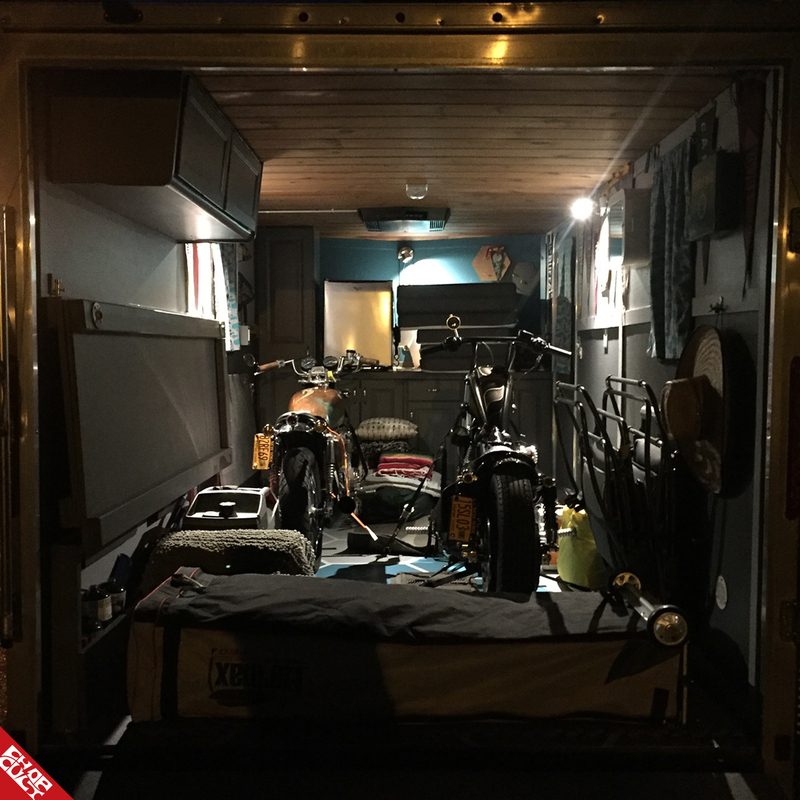 This year my wife Jo and I pre-gamed by outfitting an enclosed trailer to not only haul two bikes and all my artwork, but also serve as a fully functioning camper. No more sleeping on the ground, we would be living in style! The first leg of our trip took us to Chattanooga, TN. We were determined on this trip to check out Speed Deluxe. Jamie and Adam not only build some classy bikes, but also have put together a beautiful retail space. Situated in an up-and-coming arts community, Speed Deluxe fits in perfectly. 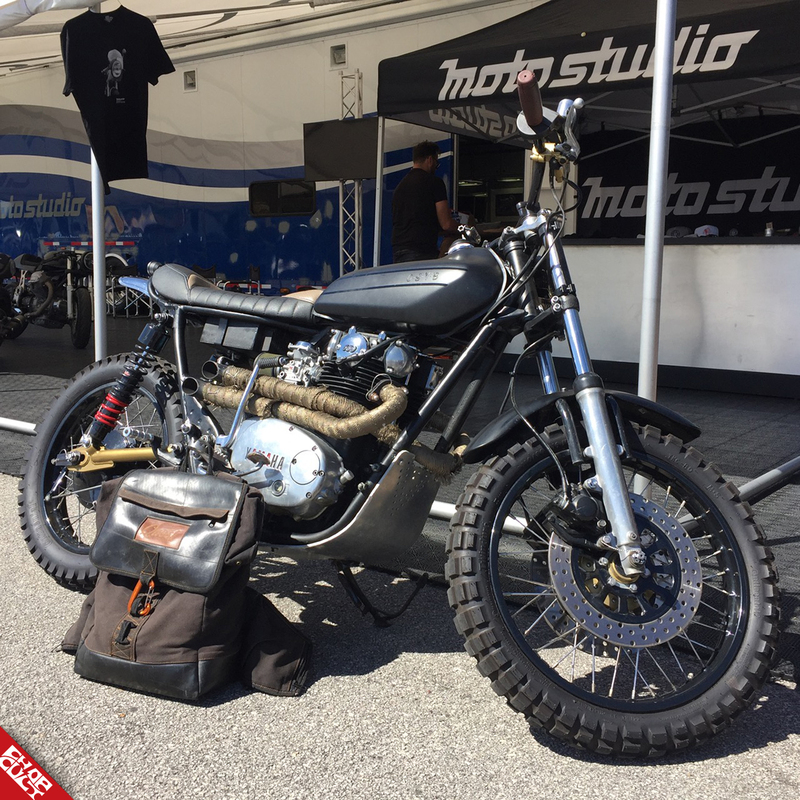 From part and apparel sales, to gourmet coffee, Speed Deluxe has created a space for the moto community of Chattanooga to gather. 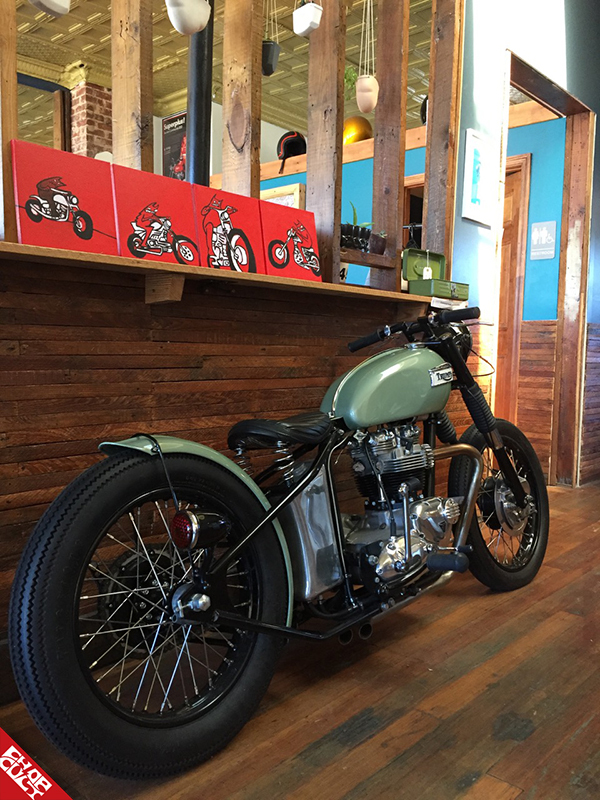 I’m always down to poke around a shop space, so this was a perfect spot to stretch our legs and talk motorcycles. Birmingham is only a few hours away from Chattanooga, so before too long we were back on the road to Barber. As soon as you make the turn onto the road leading into the park, you can feel your excitement build. Arrival and set up at Barber is a study in controlled chaos. 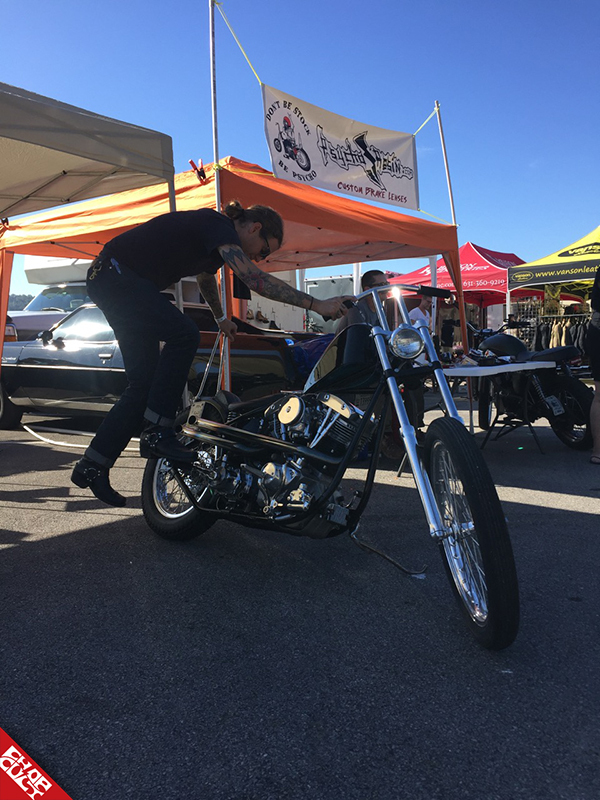 At the Highside, vendors are laying out there space, racers are darting around dialing in their bikes, early birds are walking around to check everything out, and the roar of the dyno is never too far away. You’re instantly transported into the excitement of the weekend. We got situated with the help of Constantine from Vanson and Bruce from MotoStudio. The hospitality and exuberance everybody shares at Barber is contagious. Unloading and set up is more like a family reunion. You can only get a few things out of the truck before you have to stop and hug some friends or shake hands and talk with someone passing through. I’ll also admit that I take a few breaks just to check out the XR collection of Gene Payne. It’s like a museum of racing history that he travels from town to town with. Once set up, it was time to get to the real business of the weekend. Dinner, drinks, and catching up with everyone. Friday is always incredibly exciting at Barber. You can be guaranteed that there will be a line miles deep, waiting for the gates to open. When the PA system over the track bellows the first “Attention in the Paddock” you know the weekend is off and running. 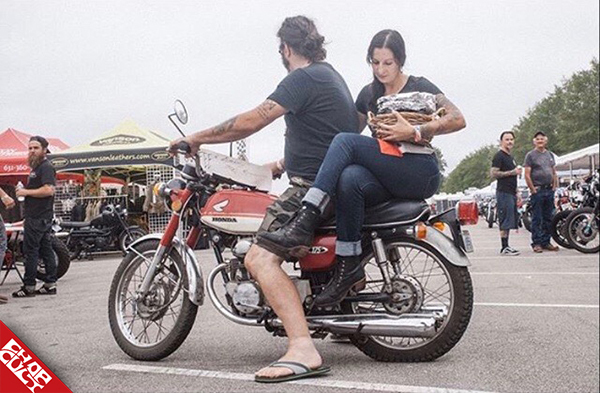 The day started with Corina from Via Meccanica and Billy from Black Grease Cycles delivering homemade breakfast burritos on the back of a Honda 175 to hungry race teams starting their day. The roar of the track starts, and the swap meet immediately fills in with builders scouring the tables for that missing or have-to-have part. If you can’t find it at the Barber swap, you’re not looking hard enough… I had my new paintings and framed prints hung, and festival-goers were taking it all in. After a few hours of talking with people from all over the world as they passed through my tent, I managed to sneak away to check out Ace Corner. I left the tent in the very capable hands of my wife Jo. She is way more personable, and a much better salesperson anyway. Ace corner offers the closest view of the track for attendees. This is reason enough to check out the space, but there is so much more to see while you’re there. This year City Limit Moto sponsored Ace Corner. City Limit Moto is an apparel retailer from Buffalo, NY. It’s always great to see a little bit of home when I’m on the road. These guys have been making the rounds and getting their brand out around the country this year. Ace Corner featured a full community of moto vendors. When I stopped by David from Archetype Leather in Chicago was on stage talking with Kevin Dunworth from Loaded Gun Customs. Ace Corner not only features live music all weekend, but between bands they give you insights into the makers at the vendor village through on-stage interviews. 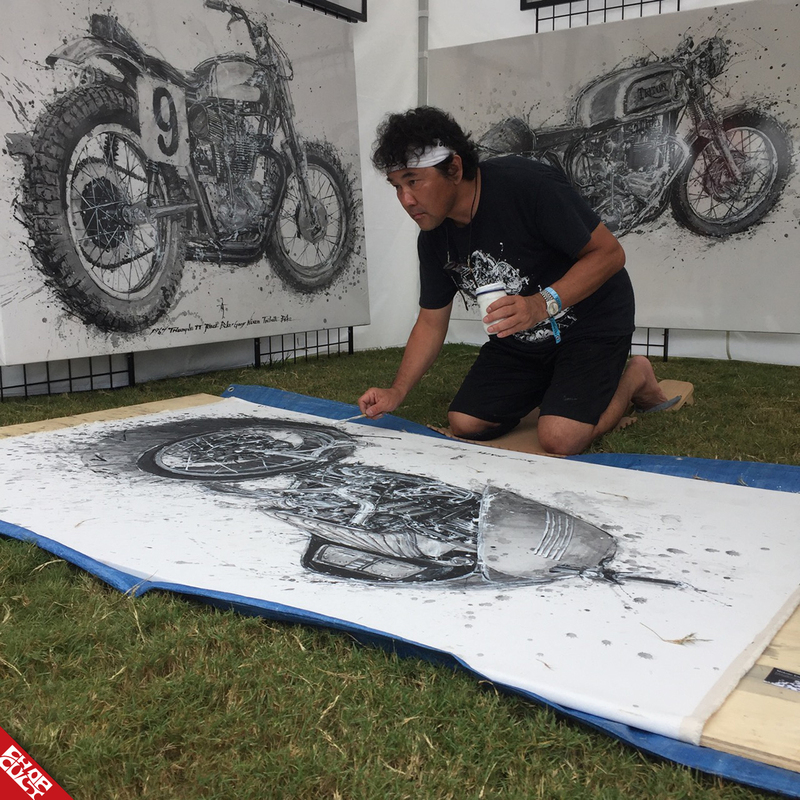 I didn’t make it too far from the stage before I had to stop and watch artist Makoto Endo work on his live painting of the BMW Alpha build by Mark Atkinson and Mehmet Doruk Erdem. I had pondered over countless pictures of this build online, so the chance to see it in person was not to be missed. Like I said earlier, if there were a motorcycle you’ve been looking to see in person, you’d find it at Barber. Next I dropped into the swap meet. The road all around the swap was lined with bikes. Both sides of the lane were full for probably a good mile or more. 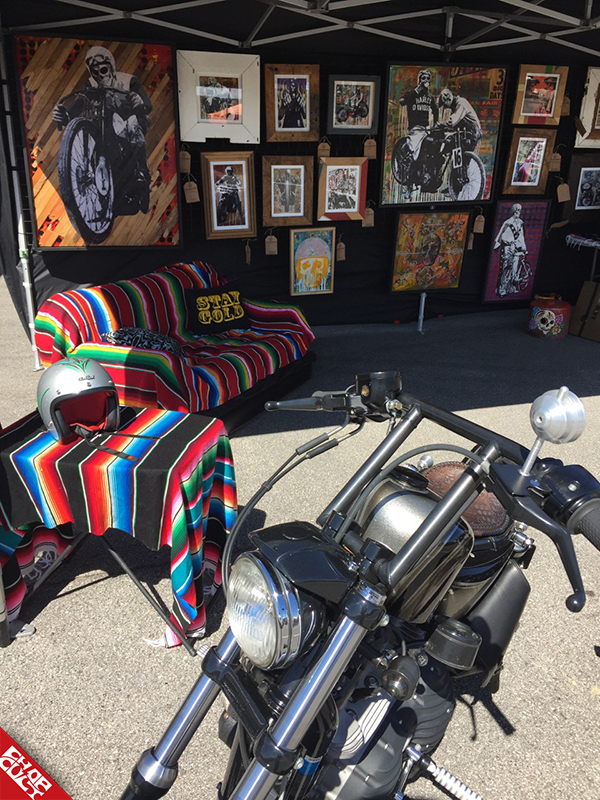 My first stop was to check out the Skull Canvas Helmet Art Show. This traveling road show brings together an inspiring collection of artists transforming helmets into every imaginable combination of colors and styles. The show changes from year to year, so it always merits the time to check it all out. Situated next to the helmet show was the pinspriping and lettering work of Chastin Brand. Unfortunately he wasn’t in his booth, I’m sure he was out taking in what the festival had to offer, but I had to stop to check out the helmets and parts he had in progress with paint underway. It’s always cool to check out the process of another artist. It was late in the day, so booths were starting to close down for the night and get dinner started. 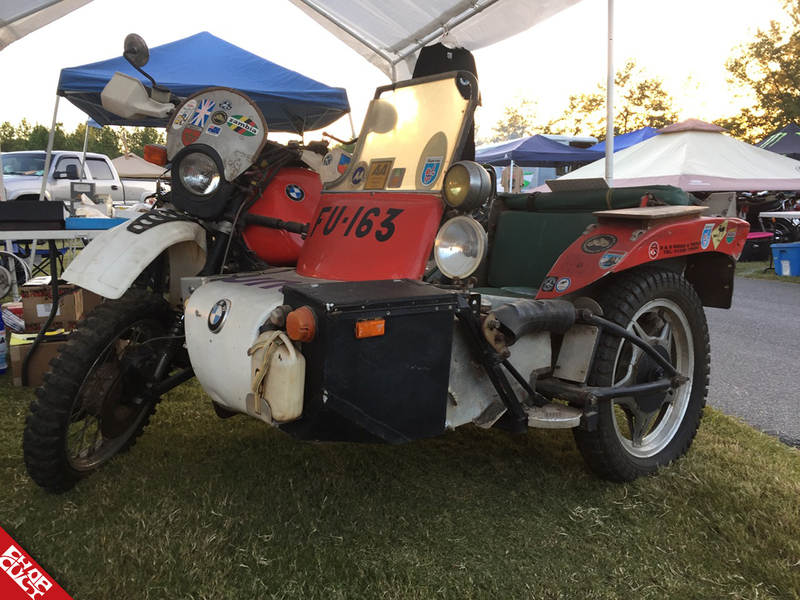 I did the quick walk through a few of the rows of tables and tents, with the idea that I would be back tomorrow to find that part that I didn’t know I needed… One tent I stopped by housed a BMW adventure bike outfitted with a homemade sidecar. The owners were in the back of the tent preparing their evening meal. The bike had a few photos and a homemade sign telling the story of its adventures. It turns out that this machine had travelled the world, taking its family from continent to continent. The owners were incredibly welcoming and happy to share their story. They truly embodied the spirit of motorcycling. I made it back to the Highside in time to meet up with Dan Carpenter from Angry Monkey Motorcycles. Dan stopped by to say hello on his beautiful 1955 Triumph Tiger. This bike was the real deal. It showed its age in all the right places, but ran like a dream. Dan is a true craftsman with a great eye for style. As the sun started to drop in the sky the real business of the day was ready to commence; dinner and more drinks with friends. The Devil Chicken Design 10’x20’ tent became a hub of activity for the night thanks to our generator, lights, and cooler full of cold beer! I’m glad it was, because more people dropped in throughout the night including some of the racers. It’s always amazing to hear their stories about life on the track. They are definitely a different breed of human, their fearlessness is inspiring. I could listen to their stories all night long. Saturday morning unfortunately brought a turn in the weather. We had been watching the radar and hoping for the magic of Barber to hold off the impending arrival of Hurricane Irene, but it was not meant to be. After three years of beautiful summer weather in October, the 2017 Barber Vintage Festival was brought to an abrupt end Saturday afternoon. Local sheriff department vehicles were making their way through the festival grounds announcing that the park would be closing that afternoon and the rest of the festival was canceled. As vendors, we were given the opting to stay “at our own peril”. As the winds were picking up rapidly, Jo and I broke our tent down in a hurry and managed to get all of the paintings packed in the truck before the rain started. 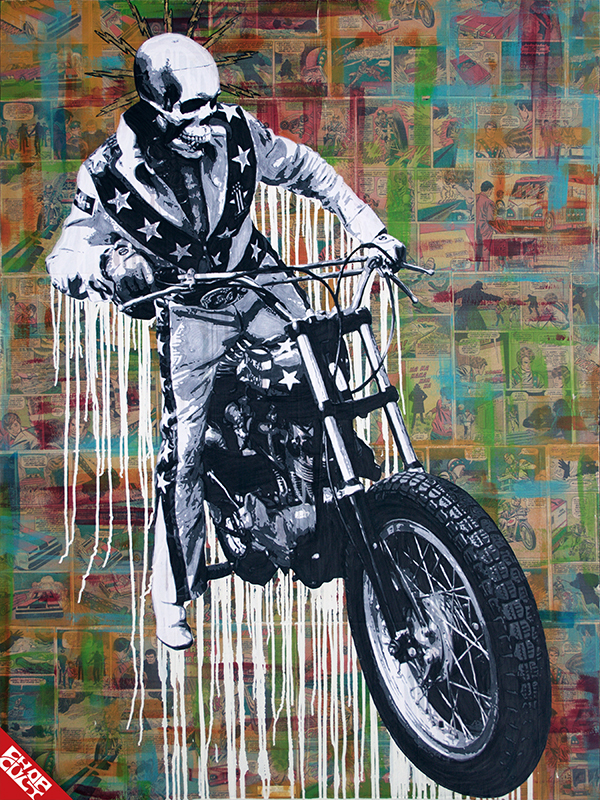 My last bit of business was to deliver my new Evel Knievel painting, “Alligators Are Swimming Up To Get My Autograph!” to sidecar monkey Jason from 3 V’s racing out of Portland, OR. As I got the painting into his trailer, the rain started to fall and race teams started to scramble in the hopes of getting one last race in. Like I said, these guys are fearless! The sidecars are without a doubt, my favorite races to watch. Getting these rigs around the track is definitely a team effort. The closest thing I can compare it to is a ballet on wheels, pulling incredible speeds into a turn. Sure, why not pull all of that on a wet track?!? Great article Chris! Was an awesome time as usual. The bikes are great but honestly, hanging out with you and Jo is a highlight I look forward to each year! Lucky for you we live so far apart or I'd make ya'll put up with and feed me year round. Haha! Have a good one bud. Tell Jo hello and hope to see you both soon!